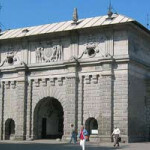 The Upland Gate was built along with the surrounding fortifications. 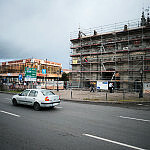 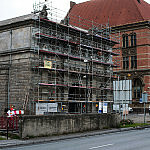 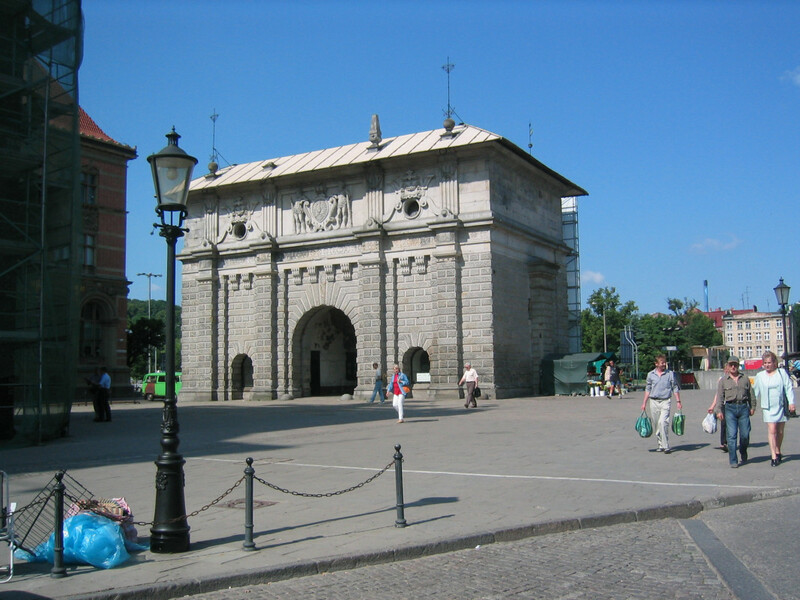 Formerly, it was the main entrance to the town. 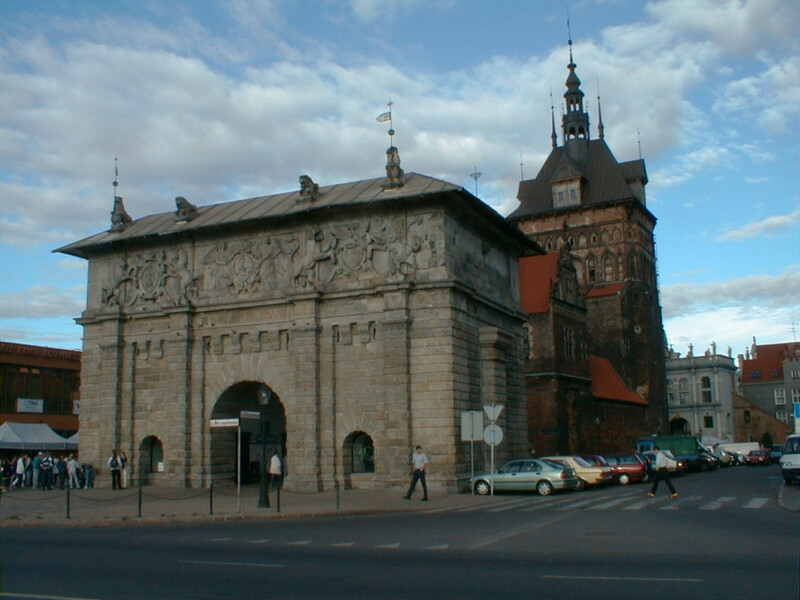 Built in a line of fortifications between 1571-1576 from the Western side of the main town, most vulnerable to attack. 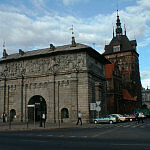 The Upland Gate was built along with the surrounding fortifications. 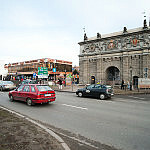 Formerly, it was the main entrance to the town. 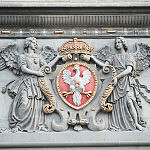 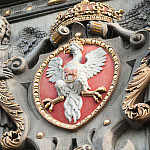 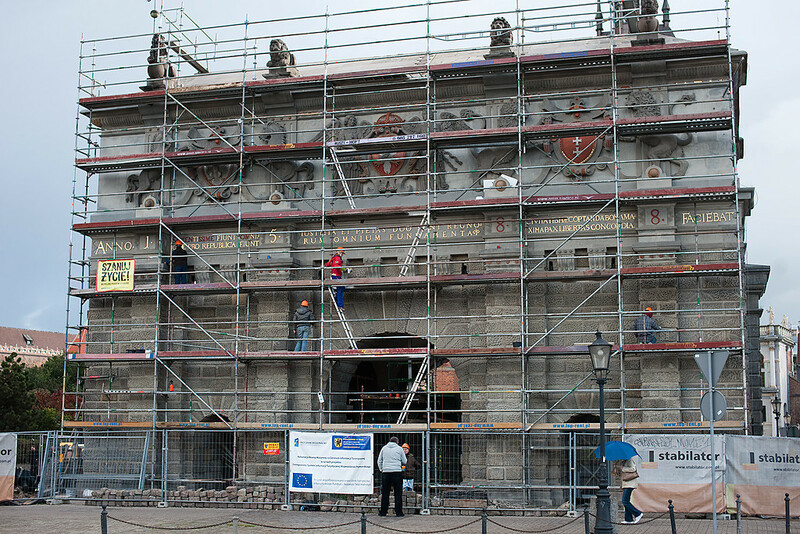 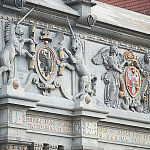 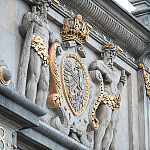 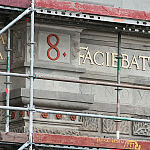 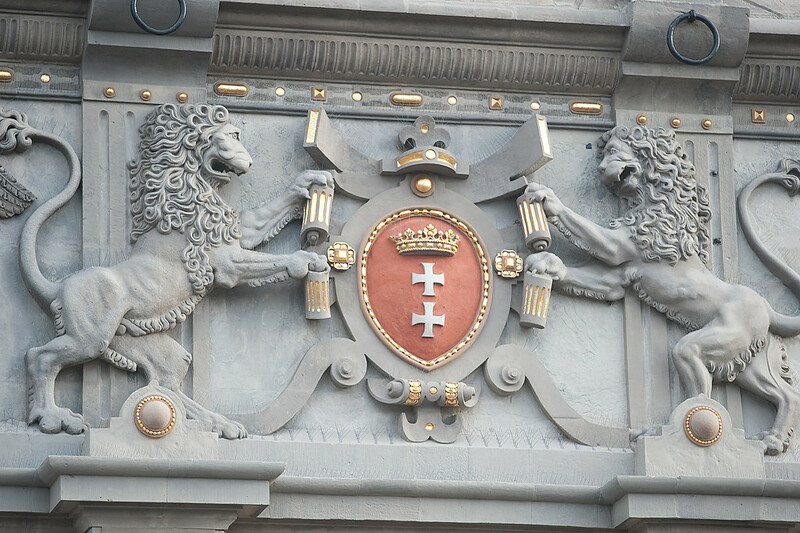 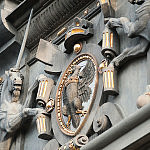 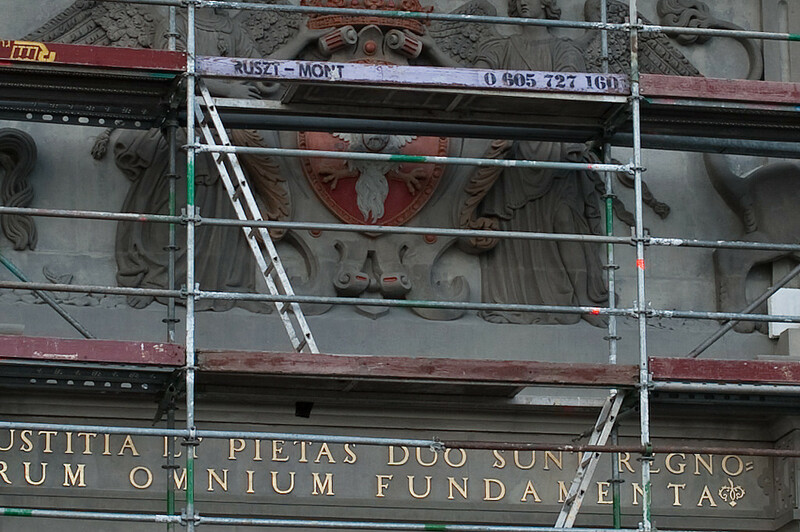 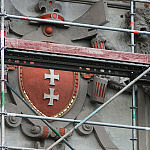 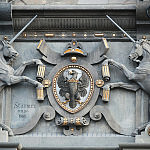 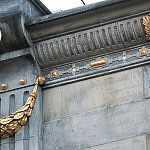 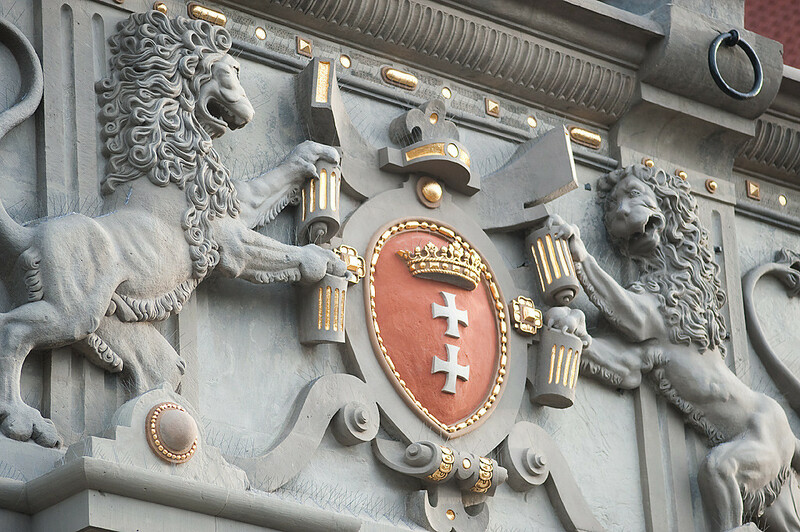 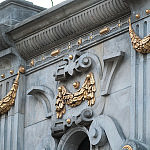 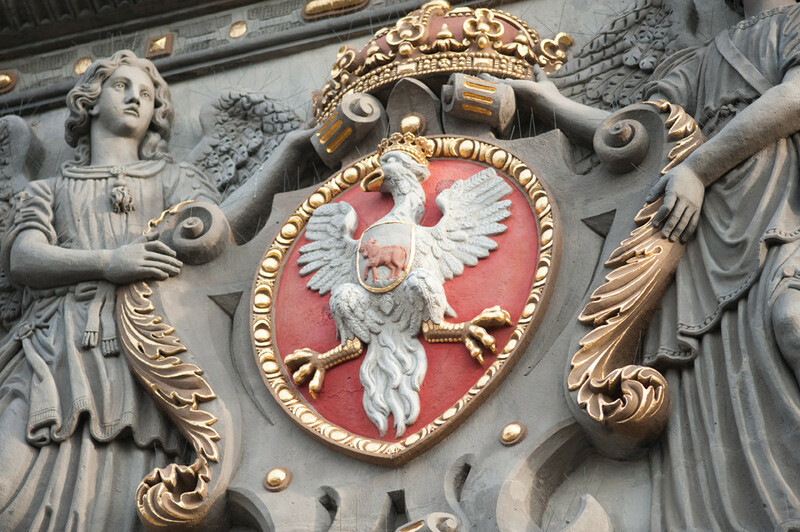 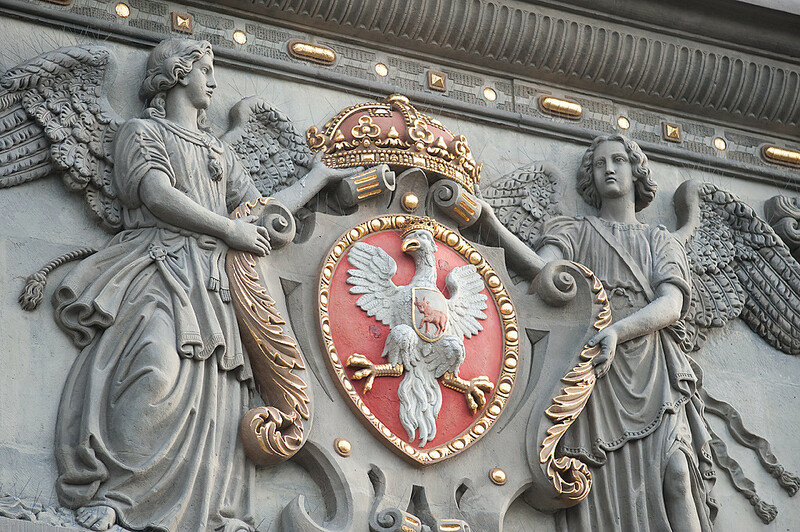 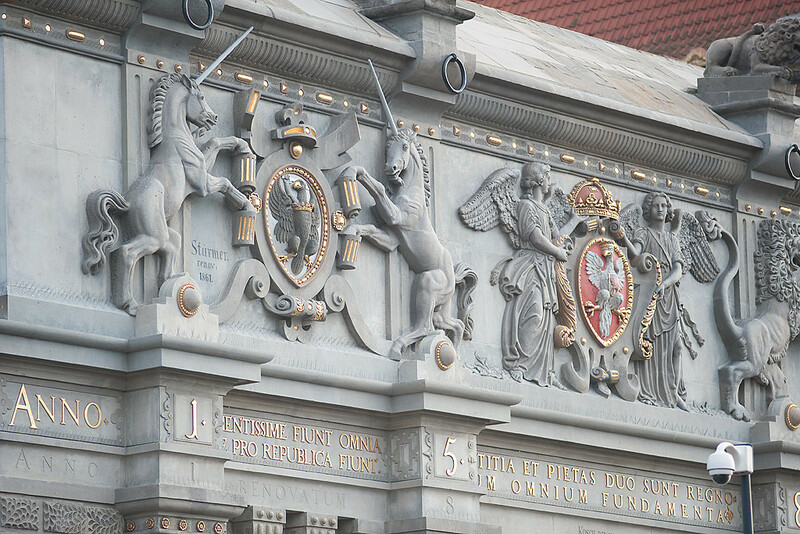 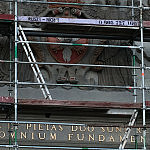 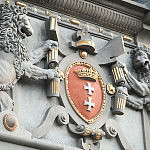 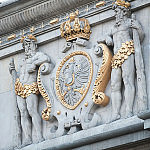 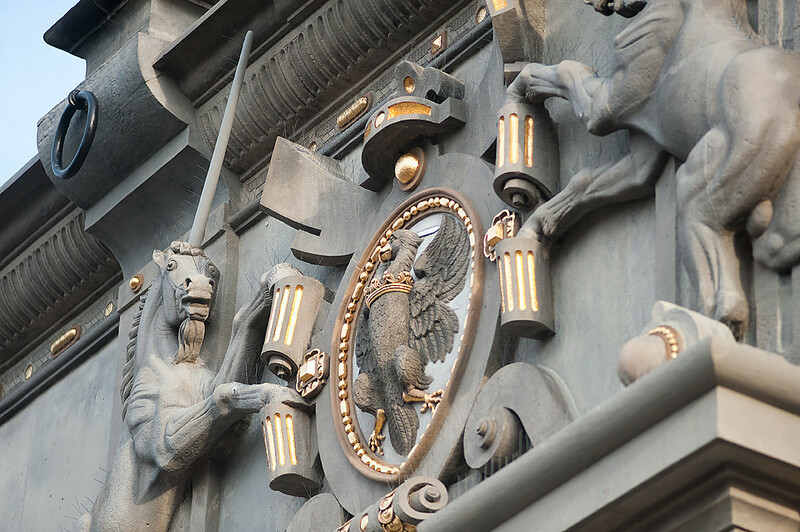 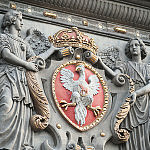 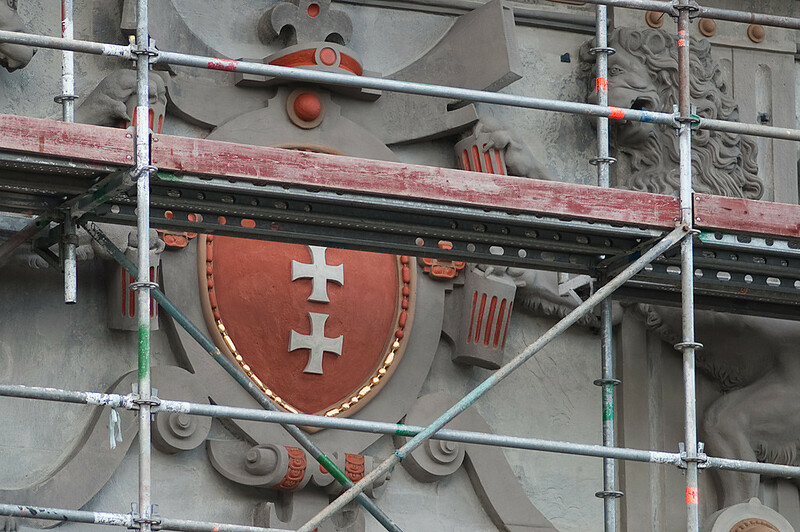 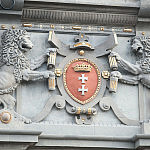 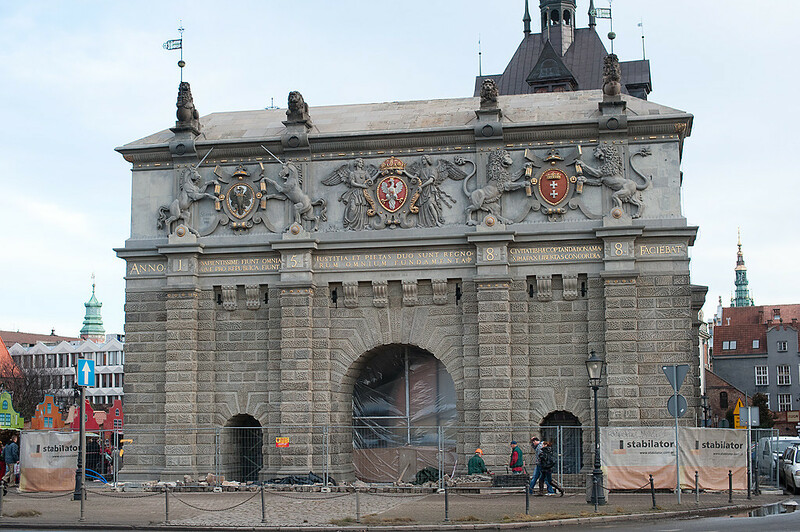 On the upper part of the gate are found three crests: The Polish is in the middle, The Gdansk crest is on the right with the Prus Królewskich on the left hand side. 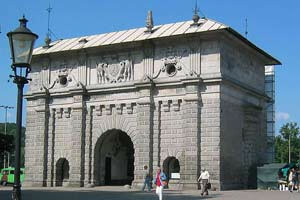 Built in a line of fortifications between 1571-1576 from the Western side of the main town, most vulnerable to attack. 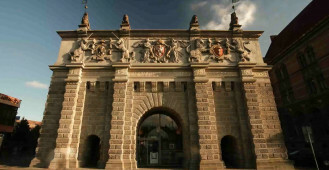 The western embankment (built up in 1573) was equipped with a basic looking brick gate building, initially dvoid of any kind of decoration. 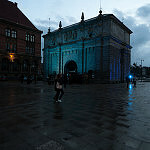 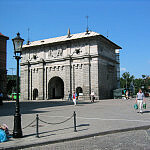 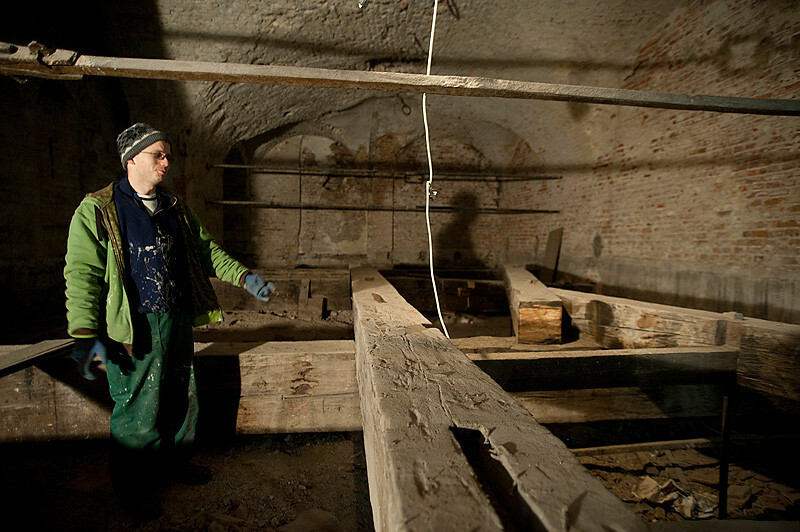 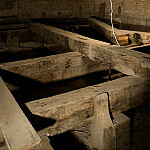 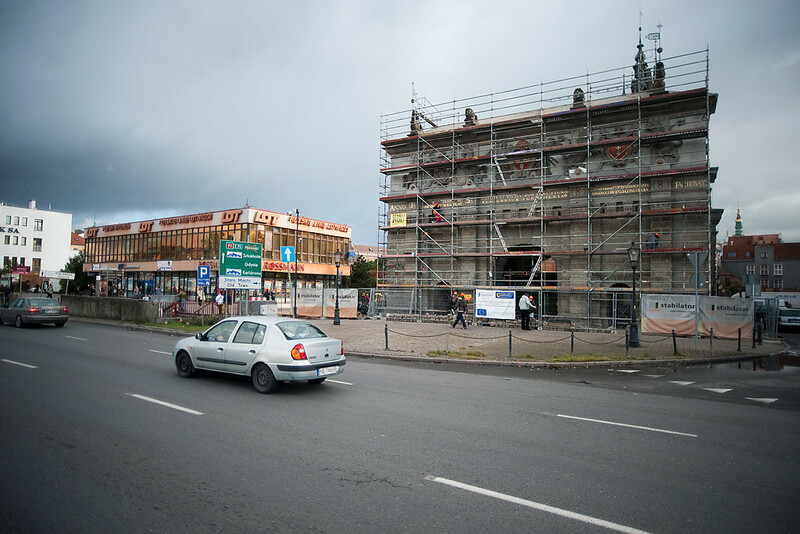 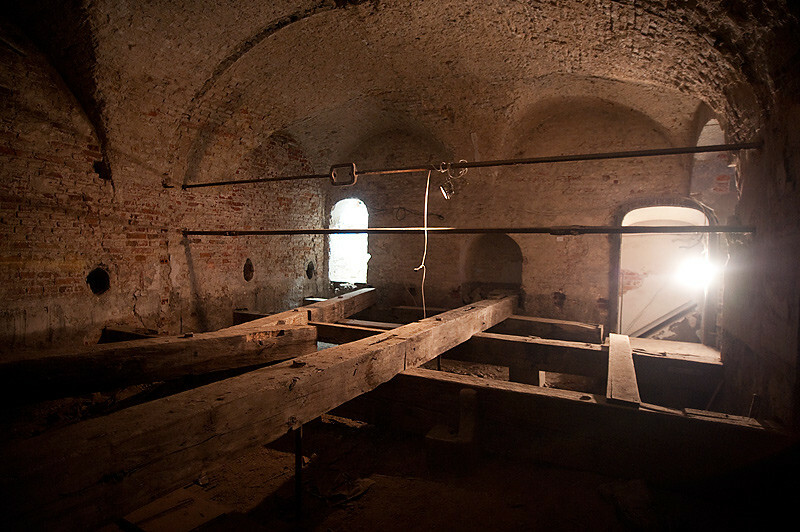 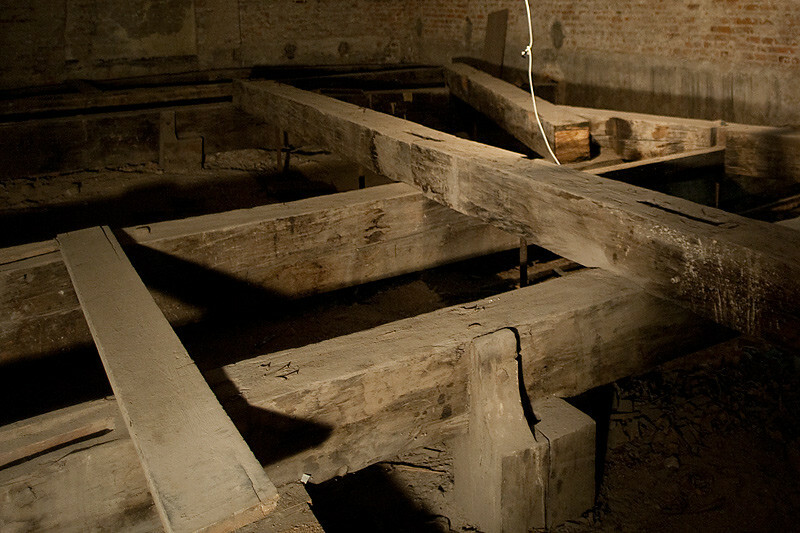 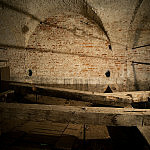 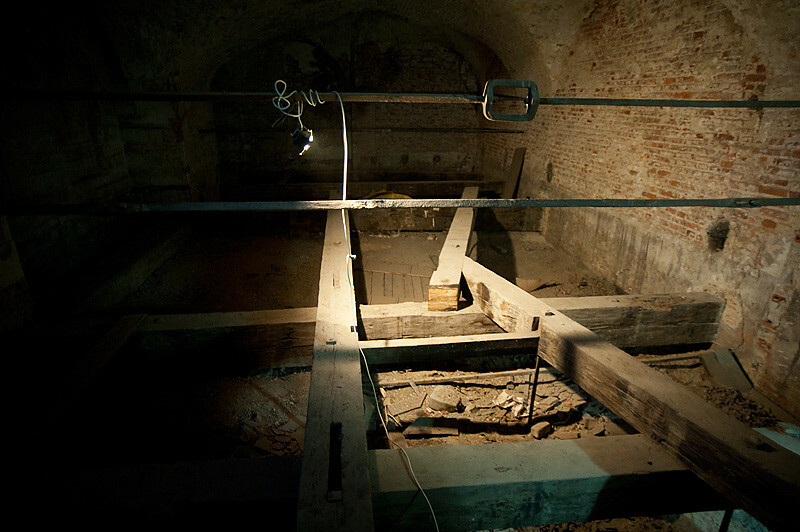 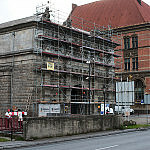 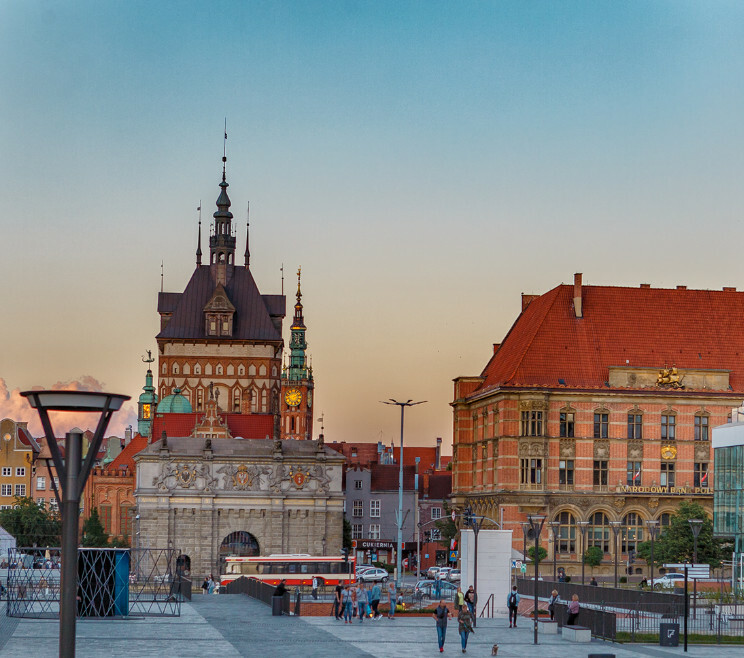 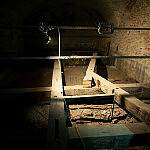 It should be emphasised that this was the first gate in gdansk built according to the latest fortification techniques at that time. 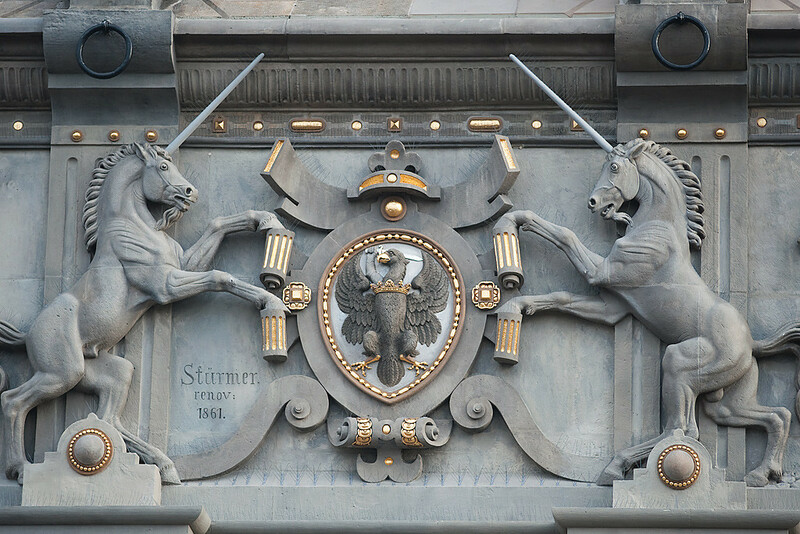 Credit for the design and overseeing of such a major defense project should be given to Hans Kramer from Dresden. 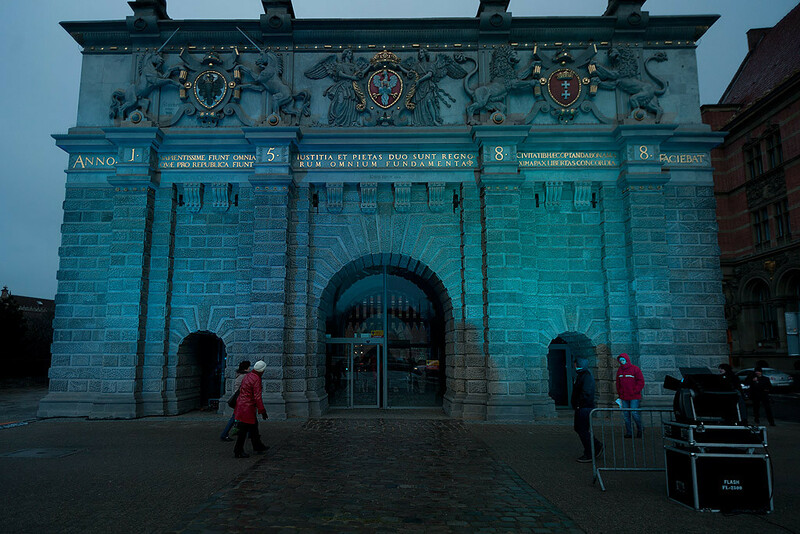 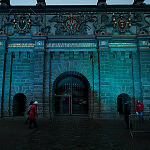 The gate, surrounded by imposing embankments was indeed difficult to break through. 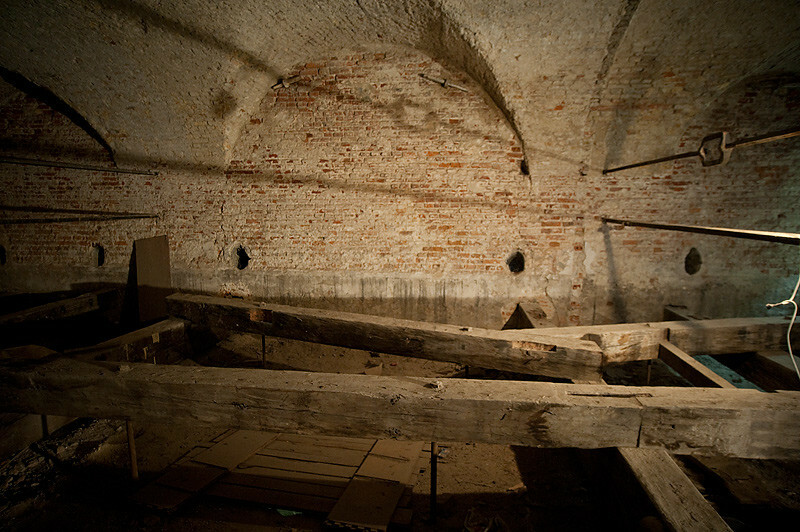 Opposite the main access route stood a bridge spanning a rather deep moat designed for transportation. 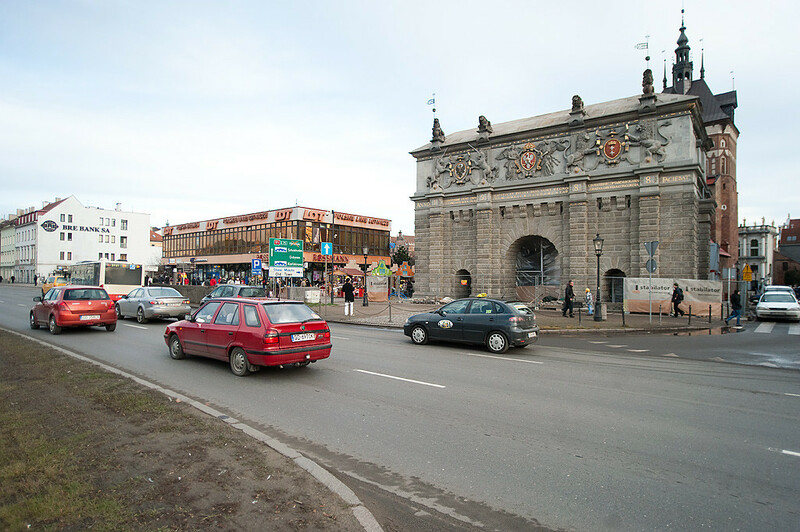 Two other entrances were equipped with footbridges for pedestrians. 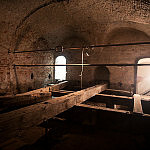 A portcullis was raised at certain times in the evening. 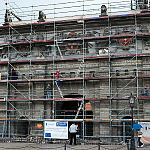 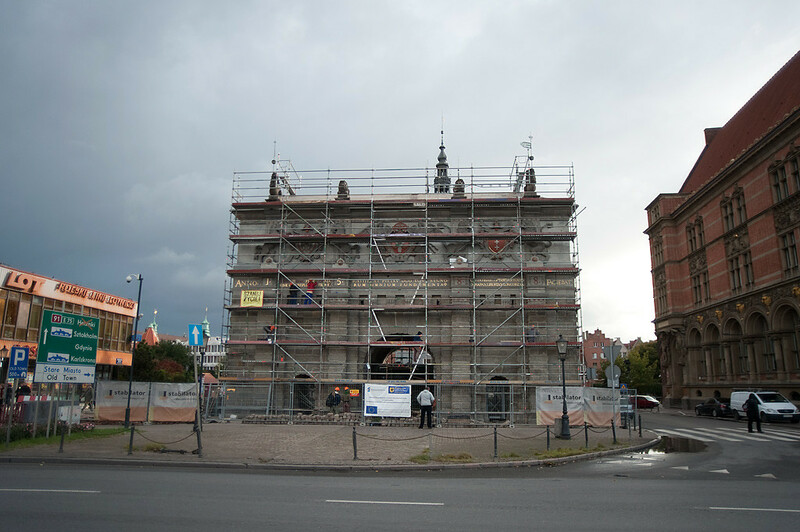 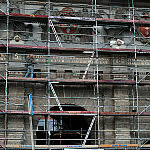 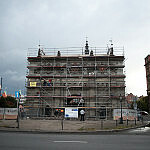 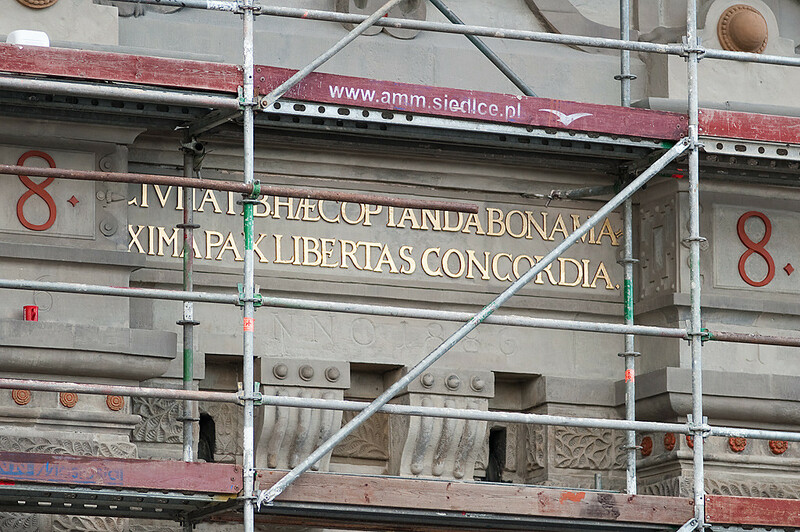 In 1588, a brick facade was imaginatively put in by the famous sculptor Wilhelm Van Den Blocke. 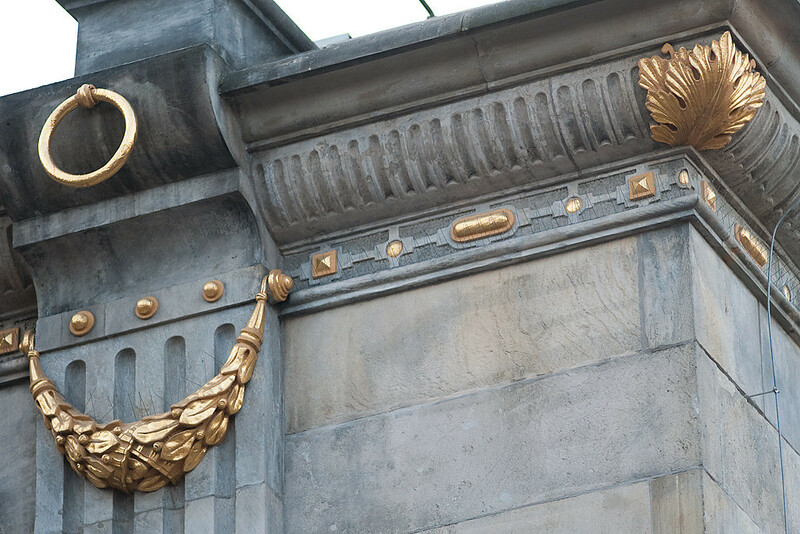 He created a mural composed of sculpted leaves. 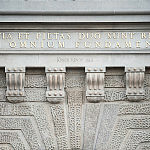 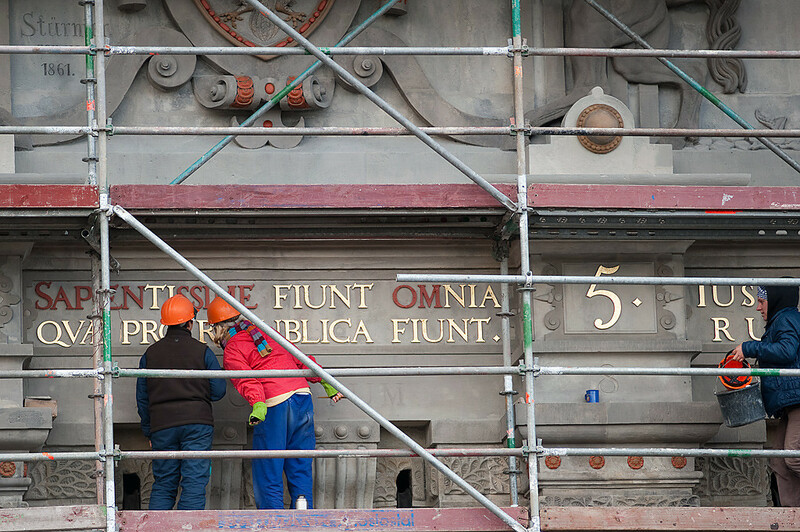 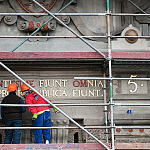 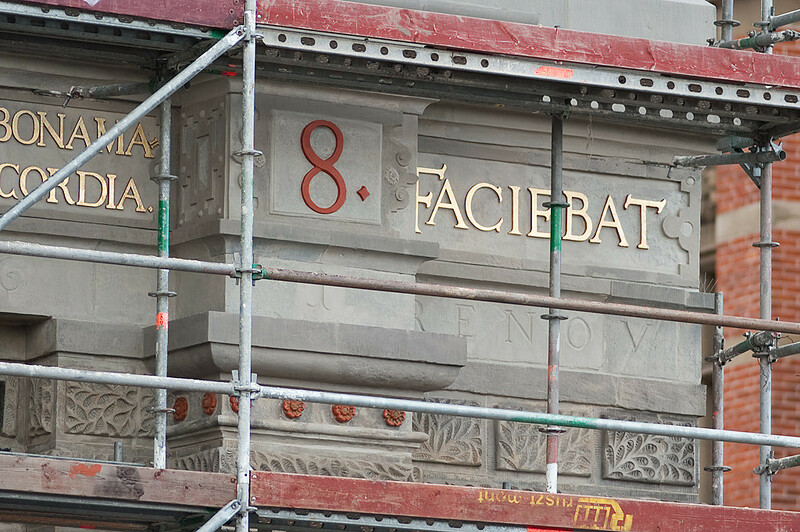 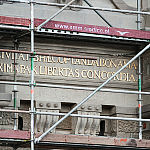 Close examination of the Upland Gate reveals three Latin sentences, reminding the authorities and the citizens of the key values for the state and society. 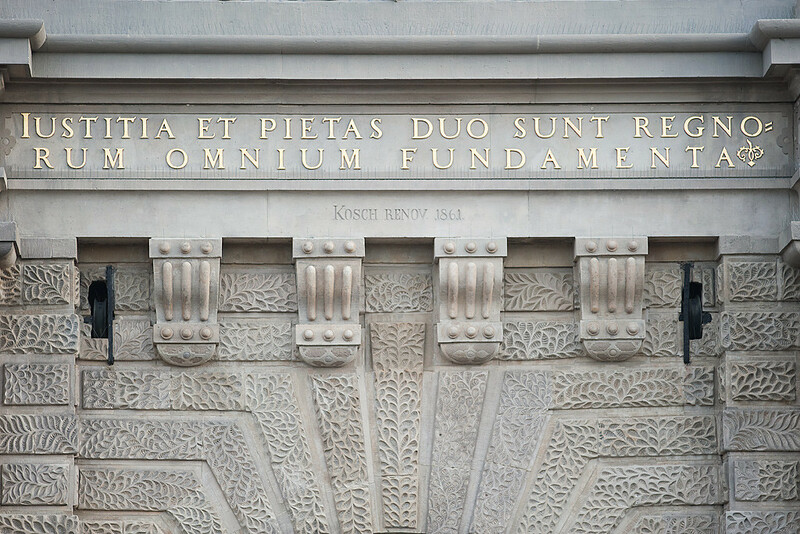 Iustitia et pietas duo sunt regnorum omnium fundamenta (Justice and piety the cornerstones of all states), Civitatibus haec optanda bona maximae: pax, libertas, concordia (The desires most valued by society are: peace, liberty and harmony), Sapientissimae fiunt omnia que pro republica fiunt (The wisest actions are those performed for the benefit of the Republic). 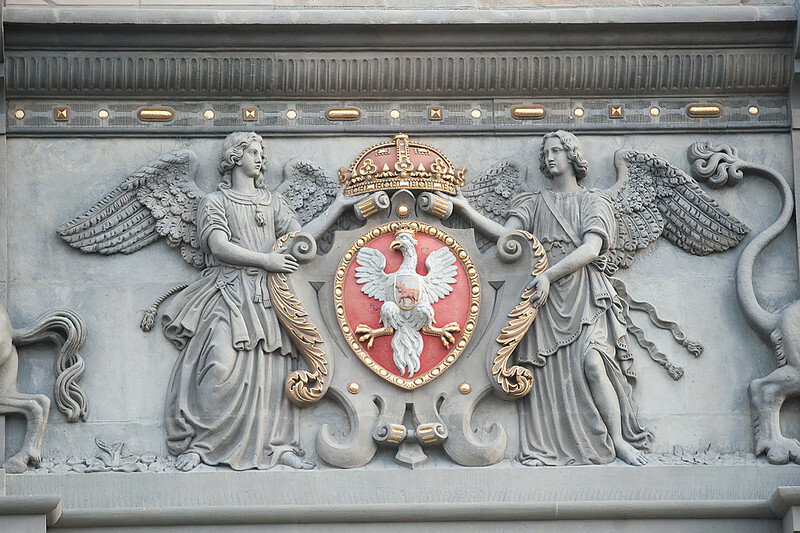 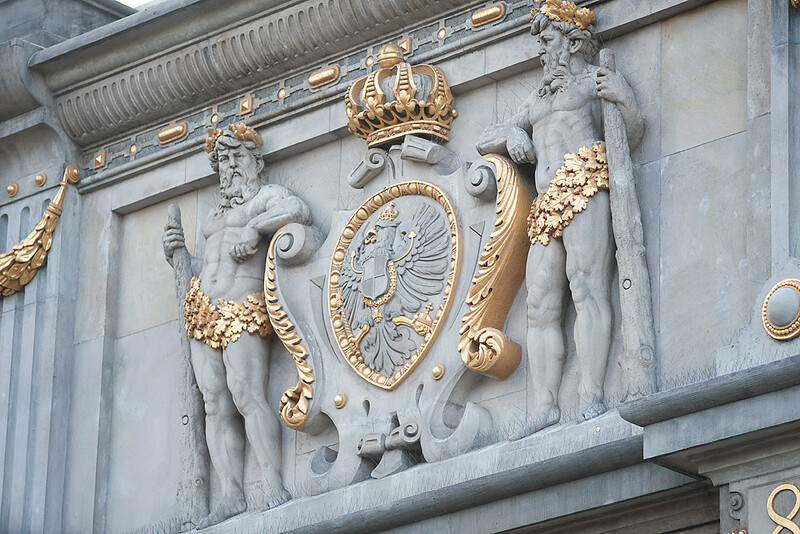 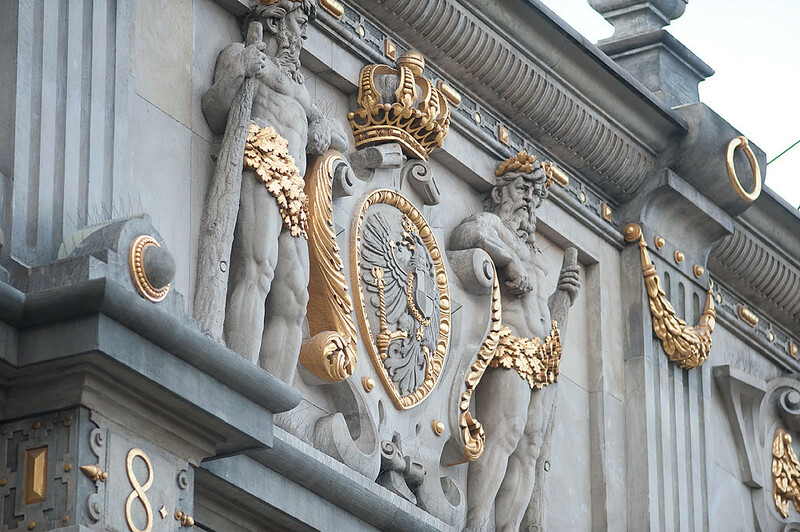 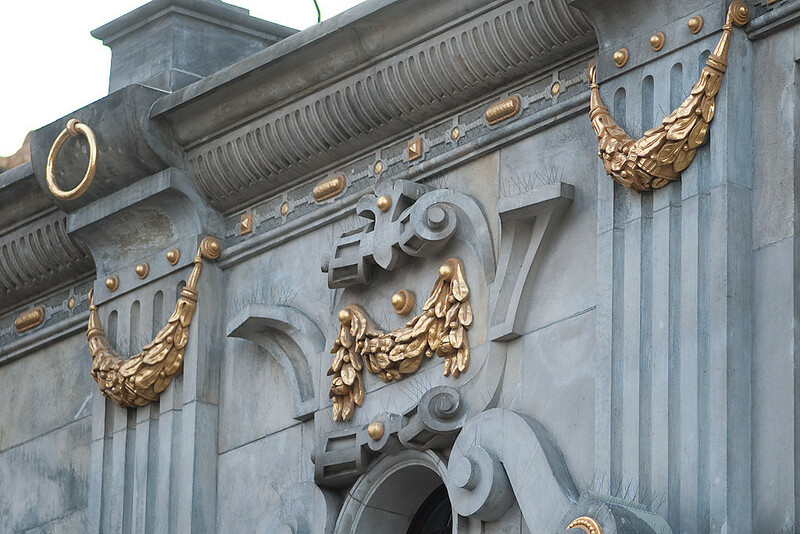 The imposing crest sculpture also draws the attention of tourists, on top of the main entrance is the emlem of the Republic on an oval shield held up by two angels. 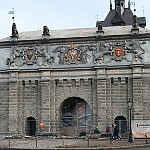 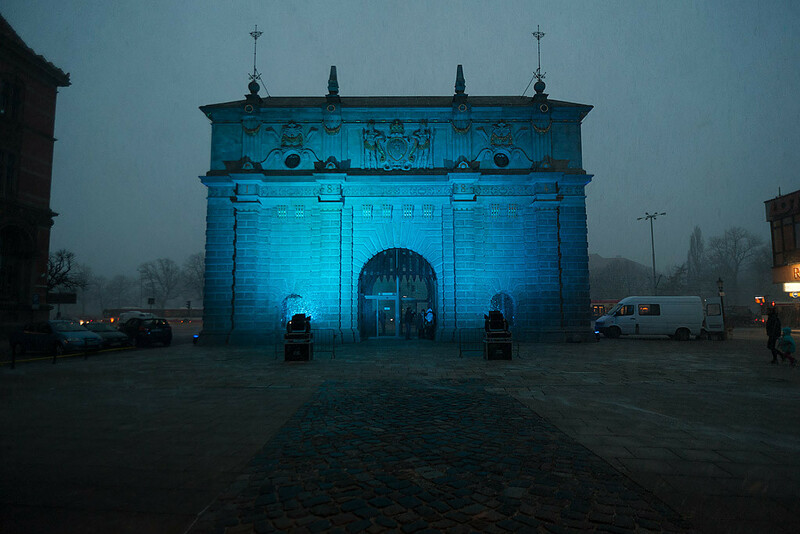 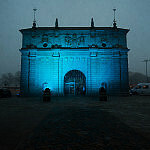 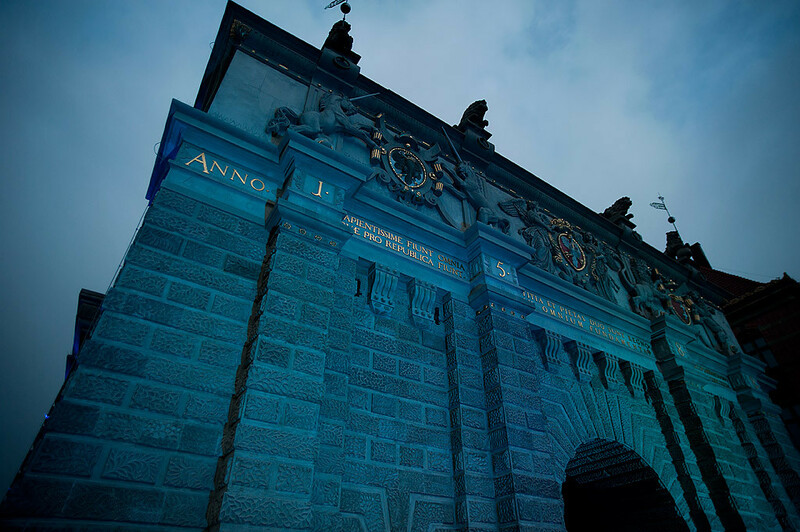 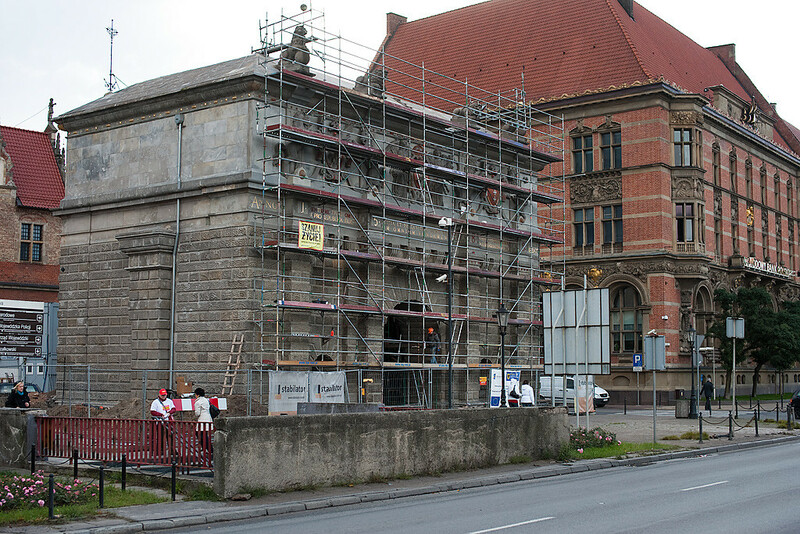 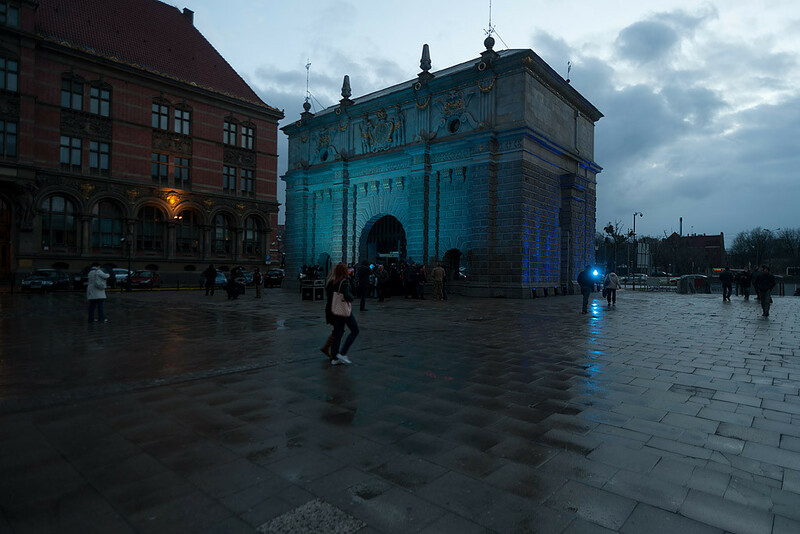 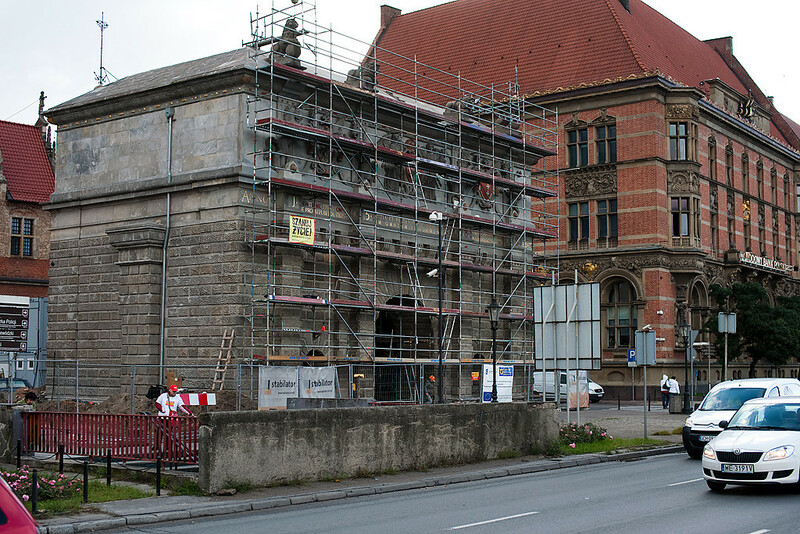 During the second world war 1939-45, the gate suffered only minor damages and that is why today we can see this building in all its glory.